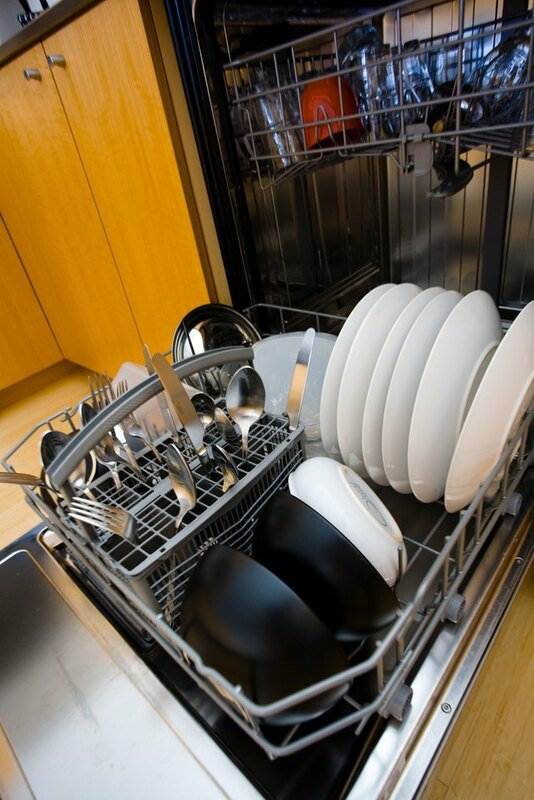 The dishwasher is a modern convenience that many homeowners are not willing to live without. Rather than spending hours at the sink, busy homeowners can simply rinse dishes, place them in the dishwasher, and turn on the machine. Modern dishwashers such as the Frigidaire brand display error codes when something is wrong, so you can call a service technician right away, rather than trying to figure out the problem yourself when the dishwasher breaks. Frigidaire dishwashers display one of two error codes if there is a problem with the ventilation system. A code of "uo" means the vent is open, while "uf" stands for vent failure. If your Frigidaire dishwasher displays either of these codes, have your service representative check the vent and vent fan. Frigidaire dishwashers display a number of codes related to switch or sensor failure. Most of these codes require a service call, because your service representative may have to replace a part. "Er," "CL," and "rA" refer to switch failures, while "hs" and "tU" refer to sensor failures. Some codes do not usually indicate technical problems, although you should always have your technician check the unit if you are in doubt. If the power to the unit fails, the dishwasher displays "PF." You can usually clear this code by opening and closing the dishwasher door. "HO" means the water isn't warm enough, and the dishwasher is waiting for it to heat before proceeding to wash dishes. You can run the faucet prior to starting a new cycle to ensure water is hot enough. Finally, "LO" means the dispenser is low on rinse aid solution, and needs to be refilled.